Murray wants to get back to what made him such a tantalizing collegiate prospect – aggression. 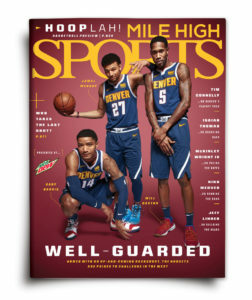 Just three years ago, the Denver Nuggets’ roster was torn all the way down as the franchise went through a hard reset. But now, the Nuggets are looking to take their revitalized franchise to new heights. Specifically, the Nuggets are attempting to climb into the playoffs for the first time in five long years. 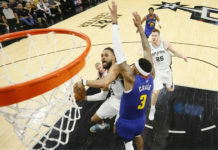 To do so, however, they’ll need starting point guard Jamal Murray to get back to what made him such a tantalizing collegiate prospect – his aggression. When Murray was still in Lexington at the University of Kentucky, he was hailed as an intimidating offensive force. It did not matter who was in front of him; somehow, some way, Murray was going to score on his opposition. He took 7.7 three-point shots per game in his lone season at Kentucky and connected nearly 41 percent of the time. He was a fearless shooter, and that threat of long-range bombardment forced defenses to defend beyond the three-point line, often leaving the paint unguarded. And that’s when Murray began attacking the rim with reckless abandon. He was dunking on guards and centers alike. He used the space his jump shot created to make plays for his teammates. Then he was drafted by the Nuggets; a team built on altruism and selflessness. Murray was suddenly second-guessing himself ,and it led to him deferring instead of attacking. You see, Murray understood he was a rookie in the NBA and did not want to ruffle feathers. He took a back seat, learned as much as his brain could handle, and fit in where he could. 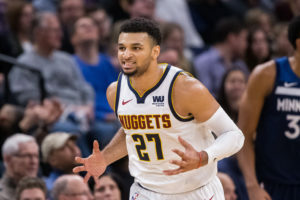 Now, the Nuggets need his aggressive mentality, because when Murray is playing as the aggressor — and playing well — he makes his team nearly impossible to defend. With the arrival of 2018-19 season, Murray is determined to become, well, himself once again. Murray’s words are music to Denver’s ears. 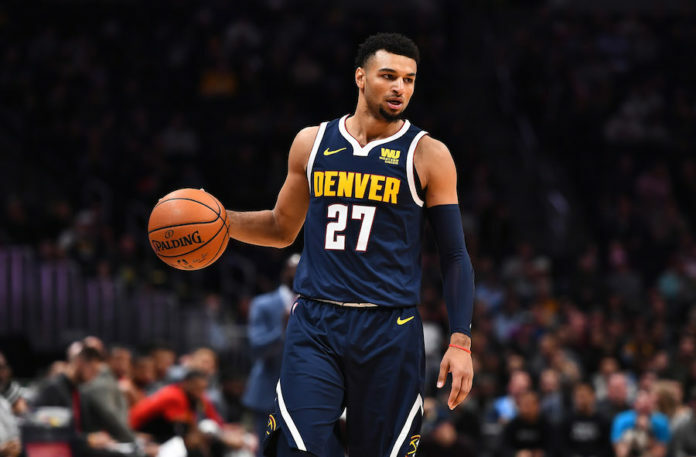 If Murray can bring the same level of aggression that he had at Kentucky to this Nuggets roster, there is simply no way to be certain how high-powered Denver’s offense could be. Murray now understands this, and that’s bad news for rival defenses. But basketball is not played on just offense. 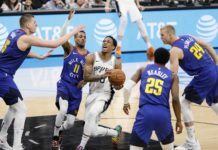 Yes, Murray’s shooting has the potential to further weaponize the Nuggets’ offense, but they need to improve in another area first. 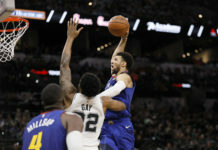 Denver’s glaring weakness is their play on the defensive end of the floor, and Murray intends to use the same aggression on that side of the ball. If Murray improves defensively and does play with more aggression, he could be in line for a massive leap forward. Murray knows this, and so does head coach Michael Malone. Murray is motivated. He wants to be show the rest of the National Basketball Association that he is for real — and that the Denver Nuggets are for real. Murray knows that the path to the postseason begins on the first day of the regular season. He is determined to help bring the Nuggets back to the playoffs, and he just can’t wait to get started.